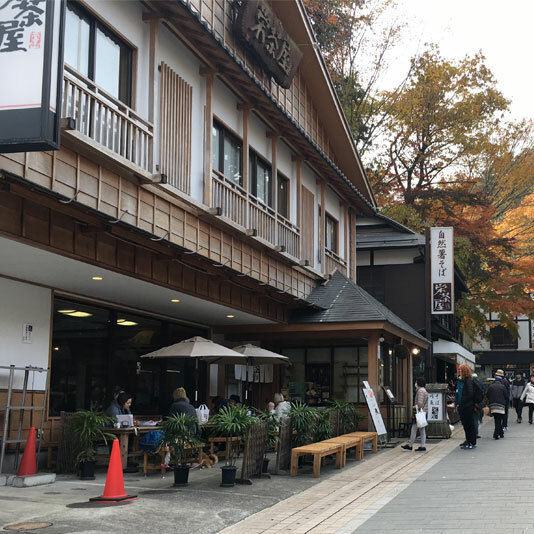 Many Soba’s restaurants stands line Mount Takao’s shrine road and the highway “Koshu-kaido” from midway-up and at the mountain’s summit. The most representative of the Soba varieties is “Tororo Soba”. It is said that in days of old, this Soba dish was first offered to worshippers visiting the Yakuo-in Temple as a way to stave off tiredness. Its high-nutritional value natural potato topping and easily digestible Soba made for an energizing meal.